4th healthy living fair will be held on May 25 – 27. 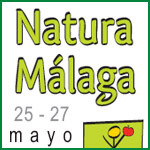 Natura Malaga will have a commercial area, exhibition area and will be offering more than 80 completely free activities. The aim of the fair is to showcase a way of life that is healthy and respectful to the environment. Having established itself as the most important multidisciplinary event of its kind in the area this year will see new features and attractions: celebrating Natura Malaga bike day, there will also be a chance to try electric cars and bikes and there will be a roller skating gathering. More than 80 free activities will include conferences and workshops in yoga, coaching, natural cosmetics, organic farming among others. A children’s area will host plenty of activities for the little ones. In this way, as explained by the director of fycma, Yolanda de Aguilar, the event will capture the biggest audience possible, especially with a 50% reduction in the entry price. The ‘Diputación Provincial de Málaga’ are also taking part to help people know the province better, its products and rural tourism – healthier and more active. 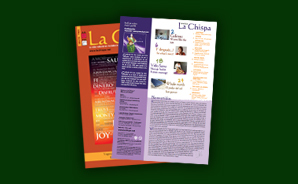 Promotions for olive oil, organic produce from the guadalhorce valley and inland tourism will all feature. This entry was posted in Green Travel, Healthy Living, Whole Earth and tagged eco fairs, festivals, healthy living, personal development, yoga. Bookmark the permalink.